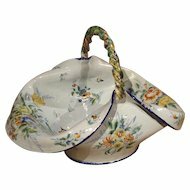 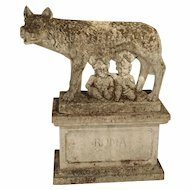 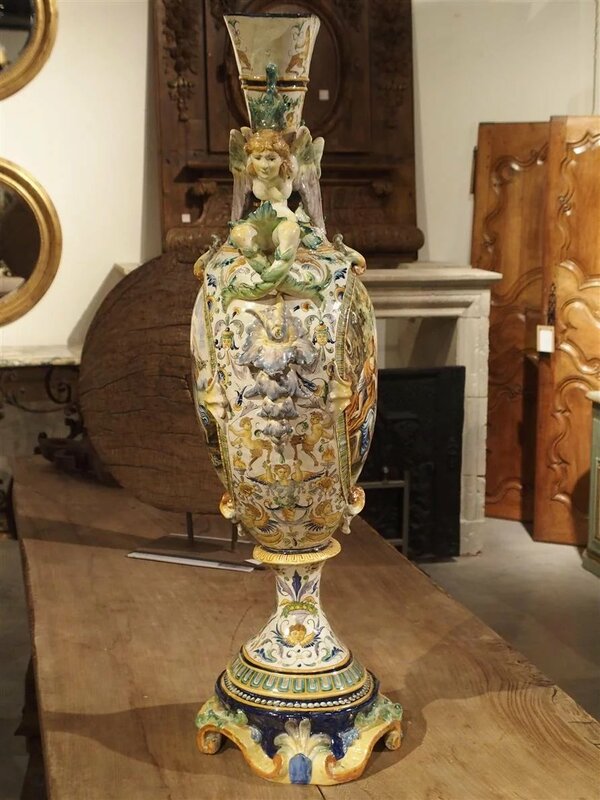 From Italy, this imposing antique hand painted Majolica vase with handles is nearly 39 inches high. 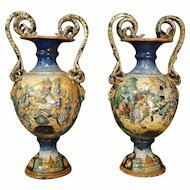 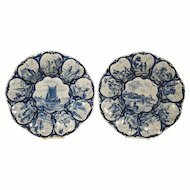 It is mainly a figural vase in style, having beautiful hand painted scenes within cartouches on either side. 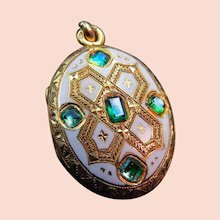 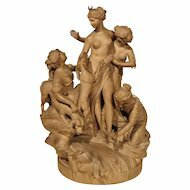 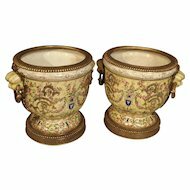 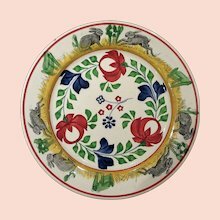 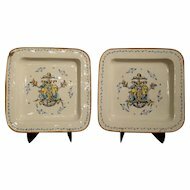 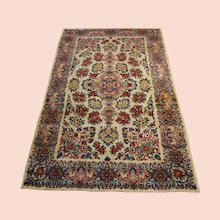 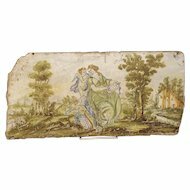 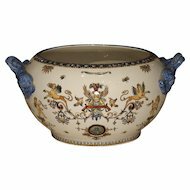 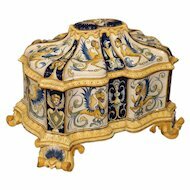 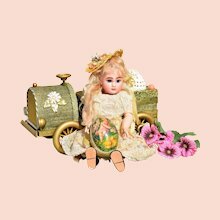 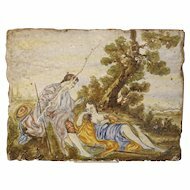 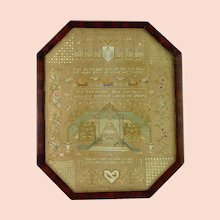 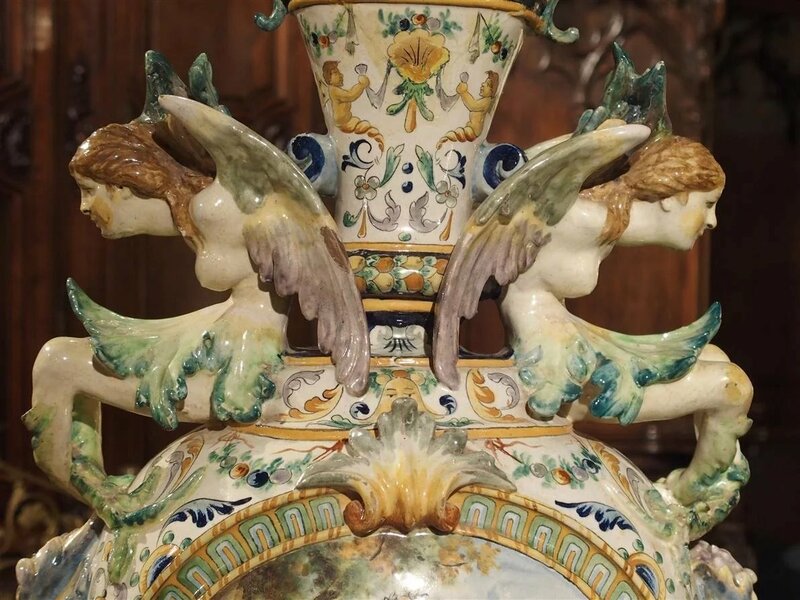 The motifs throughout the rest of this stunning piece of Majolica are demi figures, cherubs, floral and foliate motifs and birds all in beautiful colors set against a white ground. 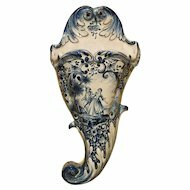 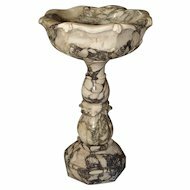 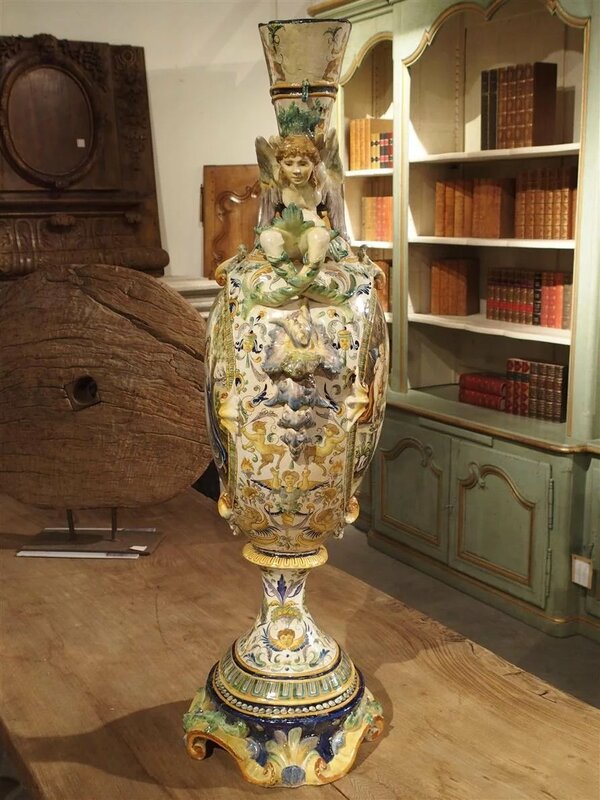 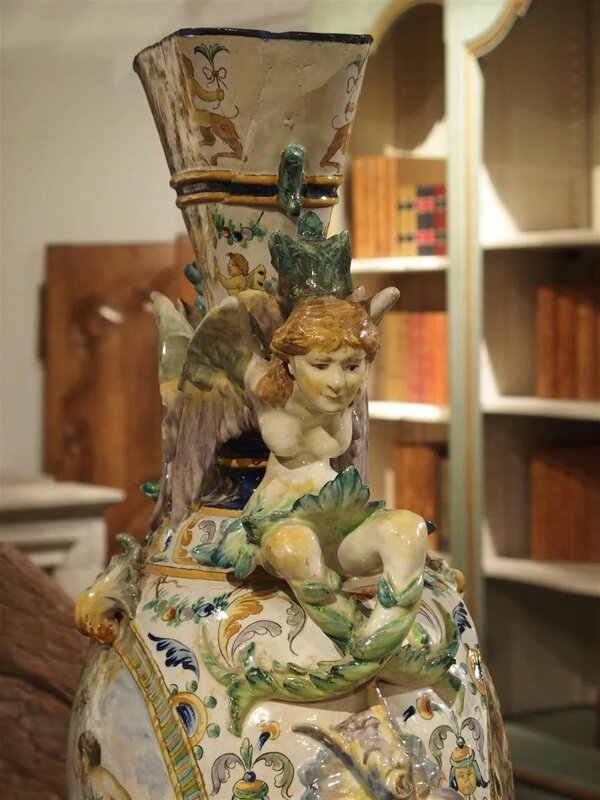 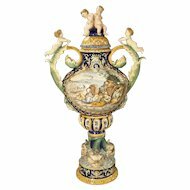 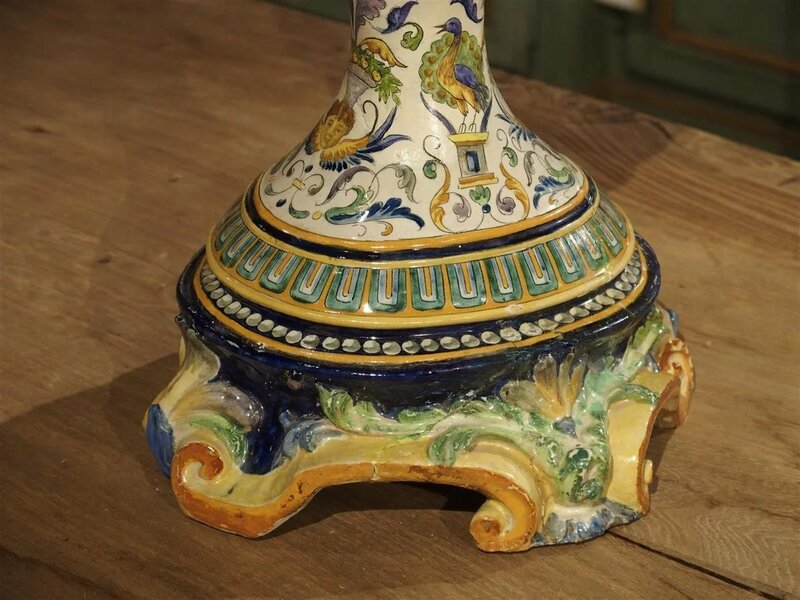 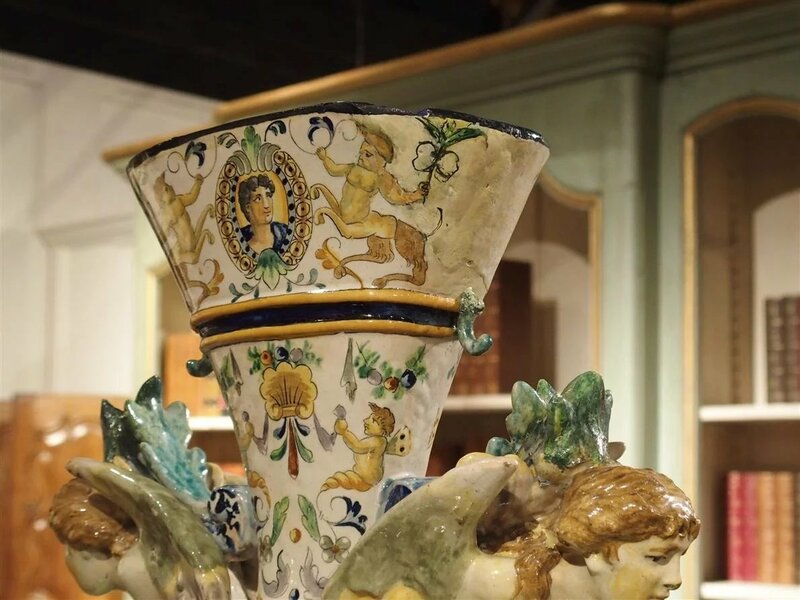 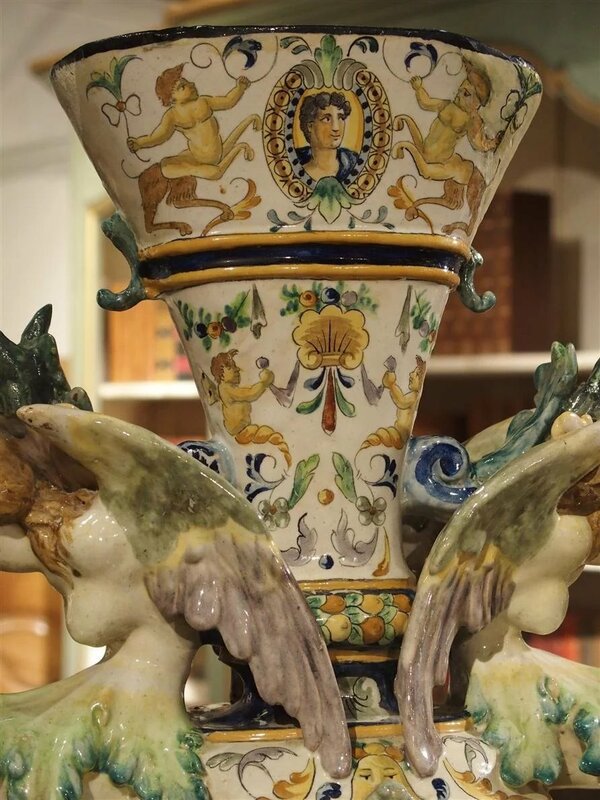 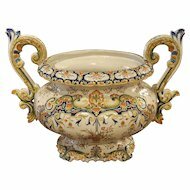 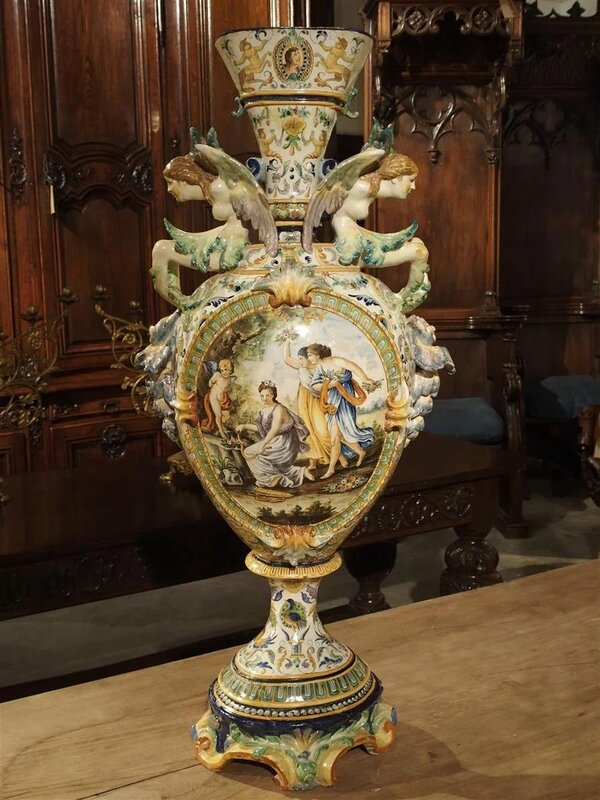 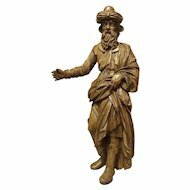 Delightful to look at, this tall Italian majolica vase will make a grand statement on a center table or pedestal. 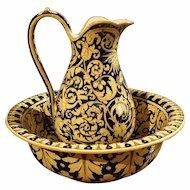 CONDITION: Previous restorations, (see photos) glaze imperfections in areas, slight lean, and loss of paint in areas.